Francis's role is to manage the CEA Dublin Center including facilities, staff, activities, housing, excursions, and pastoral support. Francis is also the Founder and Director of the International School of Business, Dublin, CEA's partner institution in Dublin. Francis has worked in international education for the past 25 years in both the private and public sectors. He has lectured in both France and Ireland and created two business schools. Francis holds a Bachelor of Arts in Irish and French Language and Literature from University College Cork, a Master of Arts in Irish Studies from the Université de Lille III, France, a Master's in Business Studies in International Marketing from the Smurfit Graduate School of Business (University College Dublin). He speaks Irish and French fluently and has a good working knowledge of Spanish and Italian. Francis has traveled widely across five continents, including a volunteer placement in Ghana, West Africa, eight years living and working in France, multiple trips to the U.S., Canada, and across Europe. He is passionate about cultures and believes that the real richness of study abroad comes from experiencing cultural differences first-hand. As Academic Director for CEA Dublin Center, Mr. Darragh O Briain manages faculty relationships and appointments, schedules courses, manages student and faculty grievances, assists in recommending curriculum updates, provides academic advising, and oversees the day-to-day academic activities of the CEA Dublin Center. Mr. O Briain has vast lecturing experience in Market Research, Event Management, Marketing Communications, Sales Management and Entrepreneurship with the American College Dublin, Griffith College and the European Business School. In 2005, he was elevated to the position of Academic Director of the European Business School, where he was responsible for overseeing faculty and academia for visiting U.S. and European semester students. Mr. O Briain is the Academic Dean of The International School of Business, where is responsible for faculty, students, curriculum development, assessments and course validation. 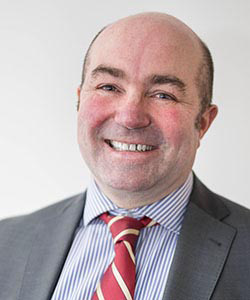 Mr. O Briain has also sat on the Academic Executive Board of Dublin Business School and been involved with an expert panel for degree course validation on behalf of HETAC (Irish State Higher Education Accreditation Committee). Mr. O Briain holds an MA from Trinity College, where he focused his thesis studies on advertising, communication and media. He also has an Advanced Diploma in Marketing techniques and a BS in Marketing, jointly awarded by Dublin Institute of Technology and Trinity College. As Assistant Director, Damien manages various American and European student programs, organizes cultural visits such as trips to Galway, Belfast, and Glendalough, is responsible for the management and promotion of the social media platforms and is responsible for day-to-day duties such as scheduling, student well-being and academic activities. Damien took on the role of Digital Marketing Manager for The Irish Teaching and Learning Festival in 2010 before leaving Ireland to travel for two years. Damien travelled across South East Asia, Australia and New Zealand. 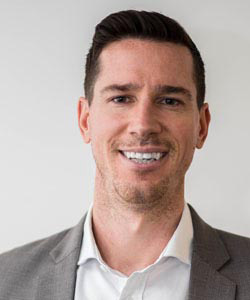 He worked as Sales Team Leader for Appco Australia in Perth for a year and came back to Ireland in 2013 to work in Finance as a Relationship Manager. He spent 3 years working in Ireland’s premier bank, Allied Irish Bank, where he managed relationships with some of Ireland’s most successful corporations and SMEs. Damien took on the role of Head of Communications & Development at CEA Dublin Center in January 2016. Having enjoyed several summers teaching Gaelic in Connemara, Damien now lectures in International Marketing, Marketing Communications and Digital Media for ISB and CEA programs. Damien holds a Bachelor of Arts in English and Irish from Maynooth University and a Masters in Business Management from Dublin City University. Damien’s passion in life is discovering and exploring new cultures and experiences abroad and as a member of the CEA Dublin Centre team he yearns to promote the same passion amongst the students each semester. Colin’s role is to assist with managing the CEA Dublin center. His responsibilities include overseeing various custom programs for CEA and the International School of Business, as well as managing CEA’s international internship program. Colin also provides support in the areas of student welfare, accommodation, events and excursions, and immigration. Colin began working in international education in 2009, when he came to Dublin as a postgraduate student and coordinated custom programs on a part-time basis. 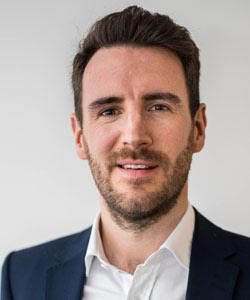 Having also worked for FIE, IES Abroad and Groupe IGS, Colin has extensive experience in study abroad for both North American and European students. As well as working for CEA Dublin, he also looks after a few Dublin-based programs for Groupe IGS, a consortium of private business schools in France. Colin lectures at both institutions, teaching courses in marketing and communications. 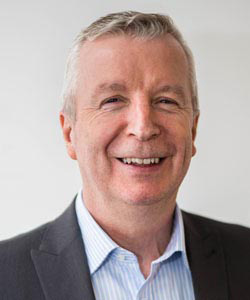 Prior to relocating to Dublin, he was based in Chicago, Illinois and worked in sales and marketing. Colin has a master’s in Marketing from Dublin Business School and a bachelor’s in Communication Studies and Business Administration from The University of Iowa. Studying abroad is something Colin experienced later than most but he’s very grateful he didn’t miss out on the opportunity altogether. It opened doors for him on both personal and professional levels and allowed him to discover his greatest passion – traveling. His wanderlust has taken him to more than 45 countries across 6 continents.